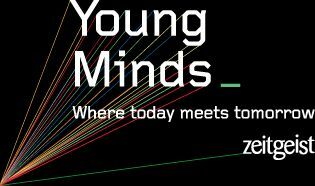 Call for Entries:2012 Zeitgeist ‘Young Minds’ Competition! The 2012 edition of the Zeitgeist ‘Young Minds’, a competition to find 10 pioneers, change-makers and leaders of tomorrow aged 18 – 24, across Europe, Middle East and Africa* is now open. The winners will take their place alongside the greatest visionaries of today at Google Zeitgeist 2012 near London on May 20th – 22nd 2012. From January 25th until March 19th 2012, the search will be on to find 10 exceptional, motivated and inspiring 18-24 year-olds from across EMEA*, who are making a positive impact in the world through science, the arts, education, innovation or inspiration. The lucky winners will be invited to participate in Google’s annual Zeitgeist event, where previous speakers have included Archbishop Desmond Tutu, Burberry CEO Angela Ahrendts, Google CEO Larry Pageand Chairman Eric Schmidt. They will also win a brand new Google tech gadget and get the chance to take to the stage and have their voice heard. Last year saw the first ever ‘Young Minds’ competition in both the UK and America. The lucky finalists won an experience of a lifetime, from meeting Chelsea Clinton and Will I Am, to taking part in panel discussions with Jon Snow and Martha Lane Fox (Co-founder Lastminute.com). South Africa, Algeria, Germany, Saudi Arabia, Belgium, Egypt, Spain, France, Ireland, Israel, Italy, Jordan, Kenya, Morocco, Nigeria, Uganda, Holland, Poland, Czech Republic, United Kingdom, Russia , Sweden , Tunisia & Yemen.